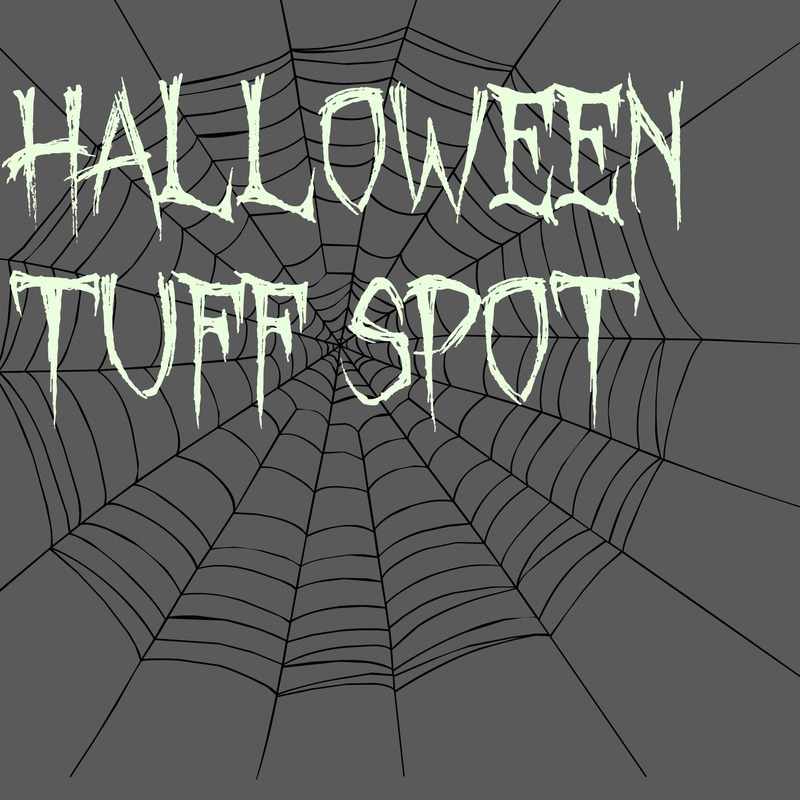 We’re a little late with #tuffspottuesday this time around! we’ve been super busy and i didn’t want to overwhelm Little Bee with too many Halloween activities in the run up to the ‘big’ day. I found this tuff spot idea when browsing Pinterest a few weeks ago. I saw it and thought it would be a fab activity for Little Bee to help promote his fine motor skills. However i completely forgot about it until the morning of Halloween! Luckily i had bits and bobs lying around that i could use and it was a quick activity to set up. The only issue we had was our lack of suitable tongs for Little Bee to use for ‘catching’ the spiders. After a quick rake in the utensil drawer i found him some and despite this slight hiccup he seemed to enjoy the activity anyway, in-fact he probably preferred to use Mummy’s real ones anyway. This activity was easy to set up took around 15 minutes to get organised. Although this is quite a Halloween themed activity i am planning to do it again once i get child tongs for Little Bee to use. I was thinking of using different props doing it along with the story, ‘the very busy spider’ by Eric Carle. But that’s something to think about another day. I am so impressed with your spider web. We havent had much luck in the past with one! 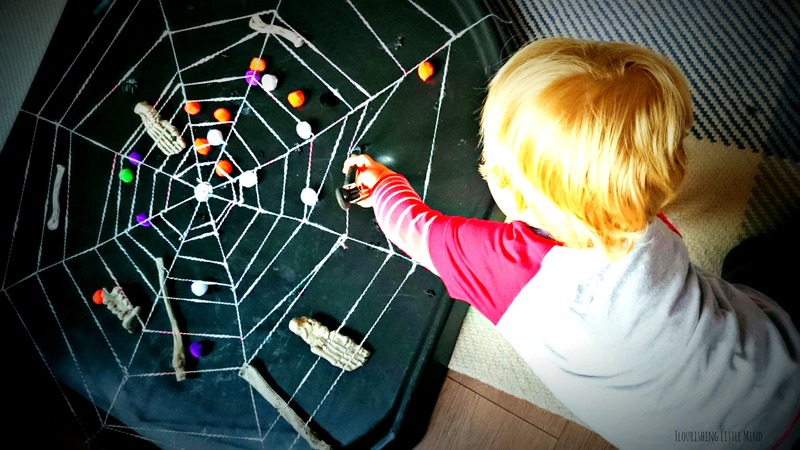 What brilliant props you used and I love the fact you are already planning future uses for the spider web! 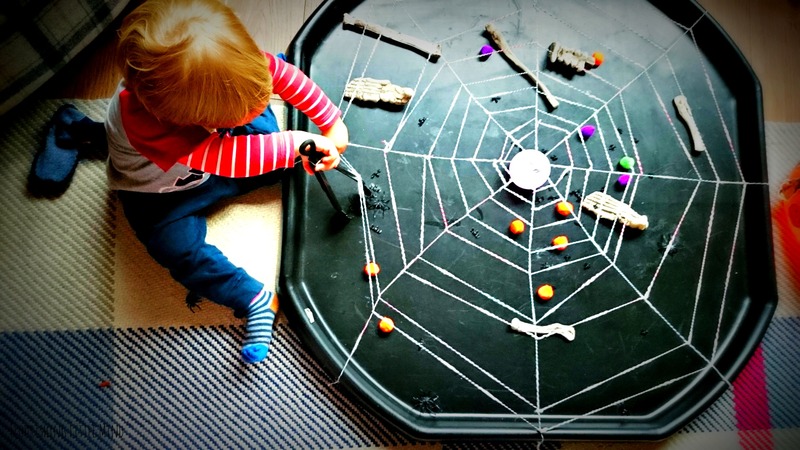 Thank you 🙂 I found using the wool really effective as it lifted the Web off the bottom of the tray so we could fit our spooky items underneath. Looking forward to the next challenge!